If you are searching for house décor to enhance your rooms, this selection offers modern and contemporary designs to integrate seamlessly with your interior. 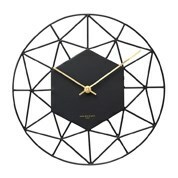 A large wall clock is a perfect way to brighten up a dull space. This range offers timeless styles that will stay relevant in house design for years. Many of our products are created with quality materials such as wood and metal. Wooden designs have intricate detailing and an exceptional surface finish. Our discount clocks come in a variety of colours and fonts. We stock contemporary designs which focus on the most recent styles, integrate popular colours and offer the latest technological developments. Our digital products come with an array of functionalities such as an alarm, thermometer, radio, lights and timers. They encompass a sleek and compact design to reflect modern ideals. 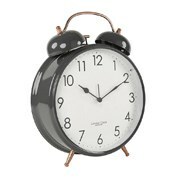 We also stock products integrating pendulums and roman numerals which are current interior trends. If you are looking for a standard alarm, we have products designed for the bedside table or mantles. This range is designed to accommodate a variety of personal tastes whilst complying with classic and modern trends. We also offer products that can be used for travelling as they are compact and portable. This selection has affordable prices and deals to accommodate your budget. If you would like to learn more about these products from our Home Decor range, please don’t hesitate to contact us using our online contact enquiry form. You may be eligible for free shipping on many of our products if you live in Australia.